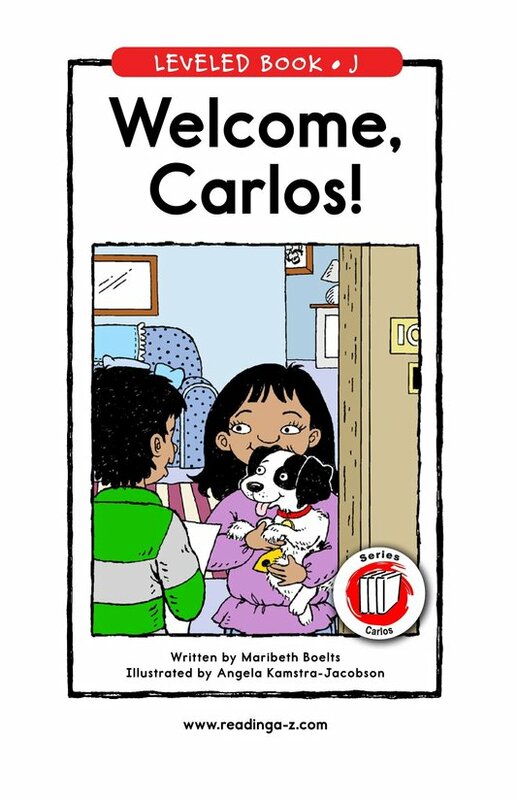 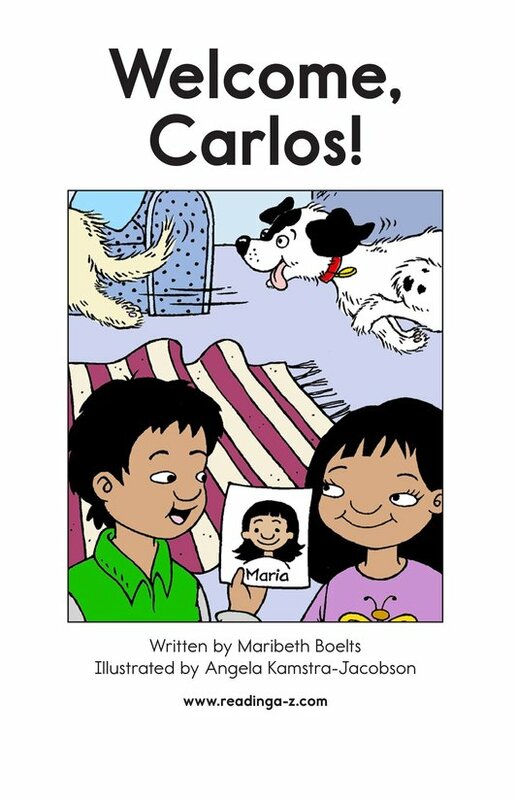 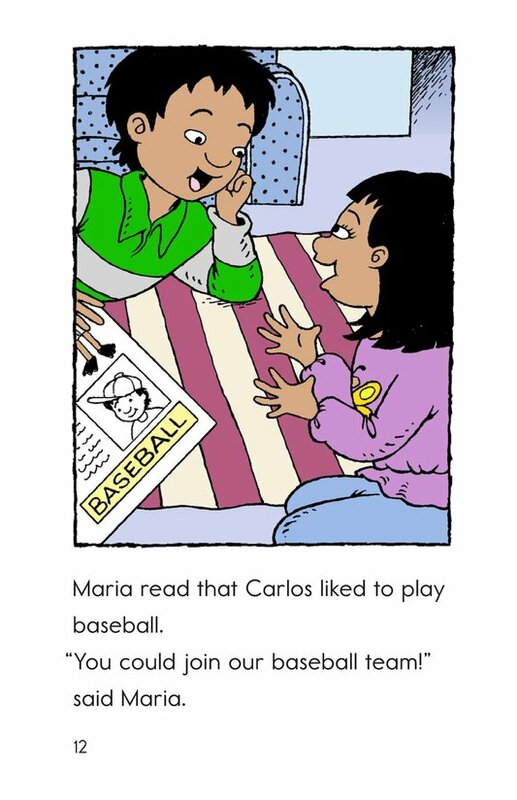 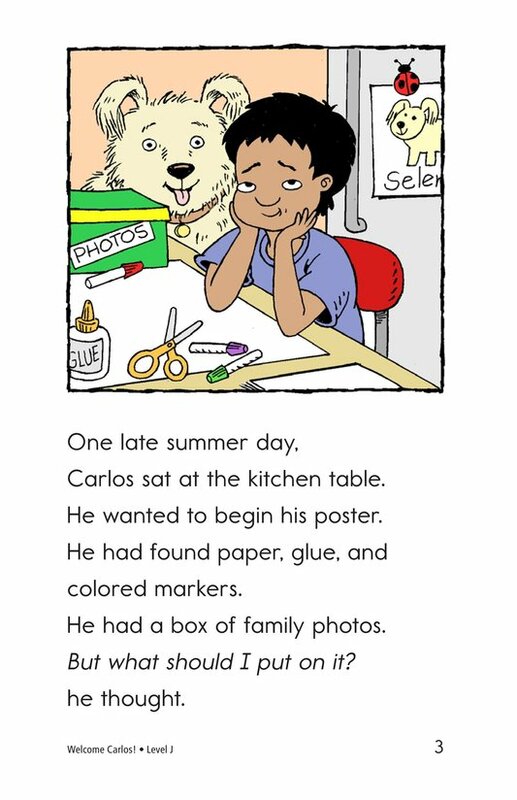 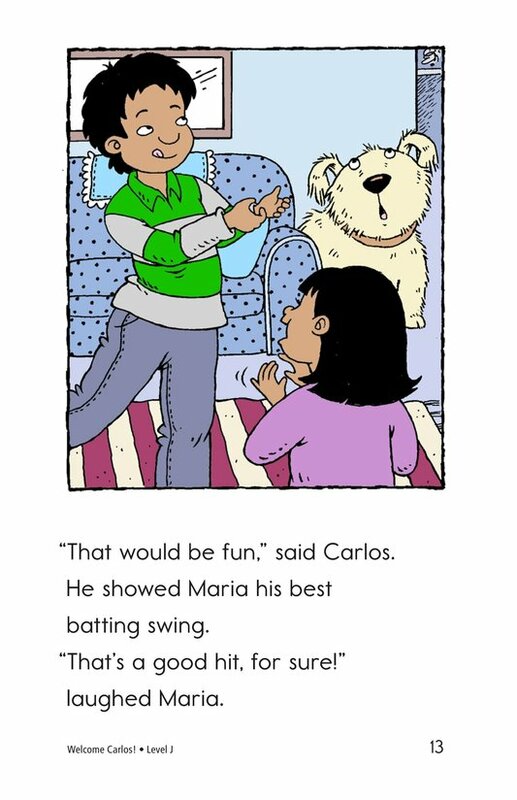 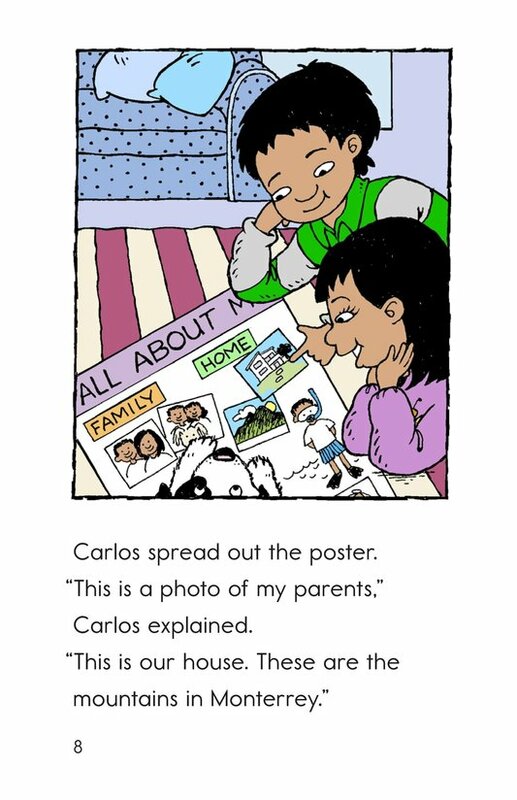 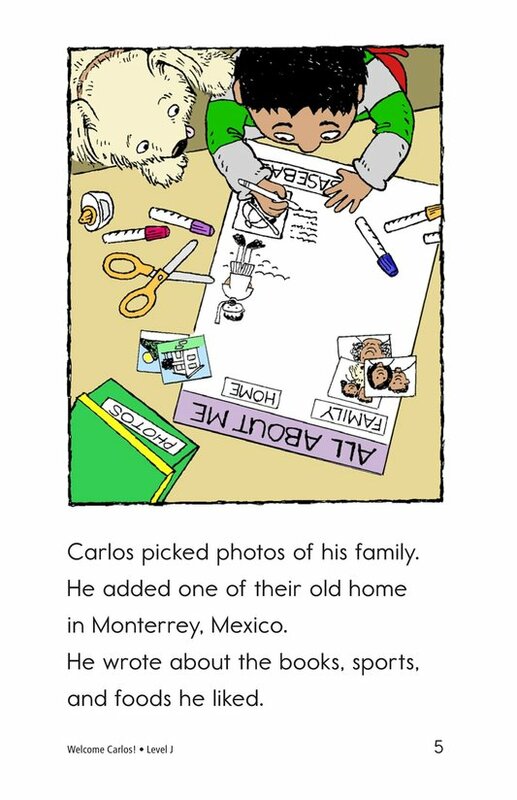 > Leveled Books > Welcome, Carlos! 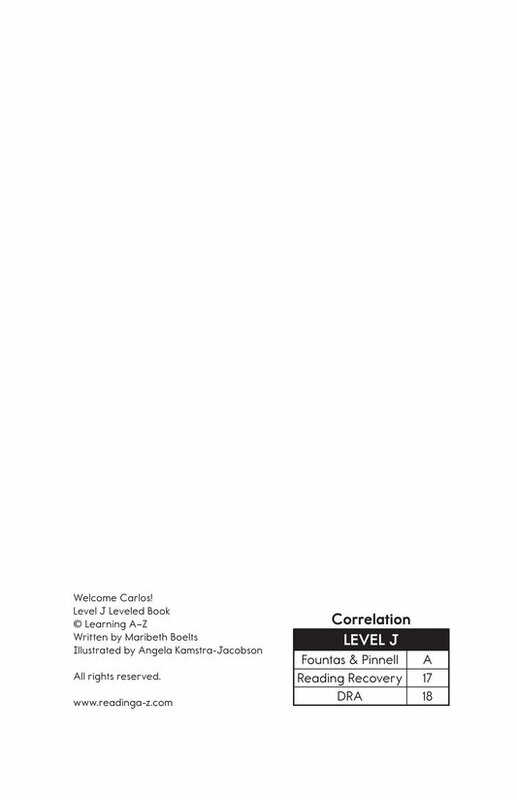 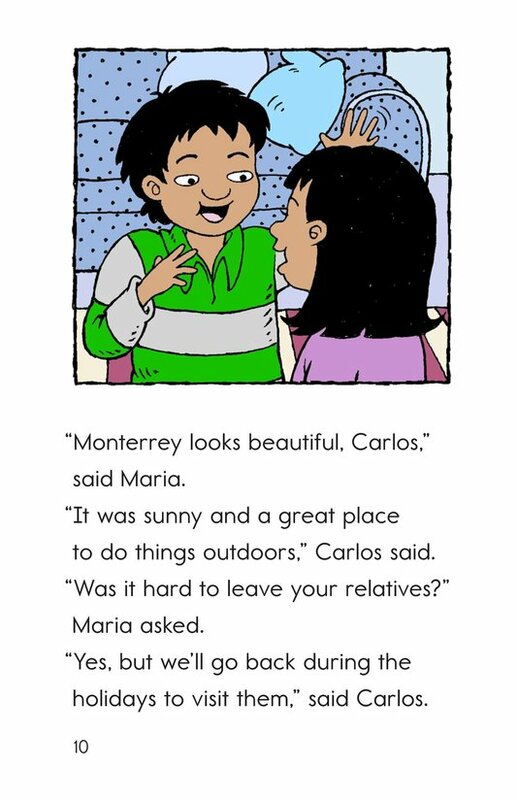 Realistic (fiction) 371 words, Level J (Grade 1), Lexile 530L. 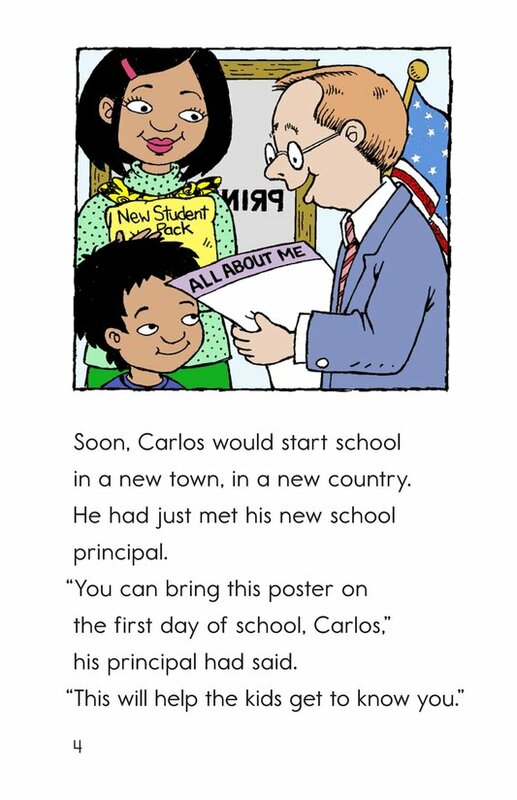 Carlos has moved from Monterrey, Mexico, to the United States. 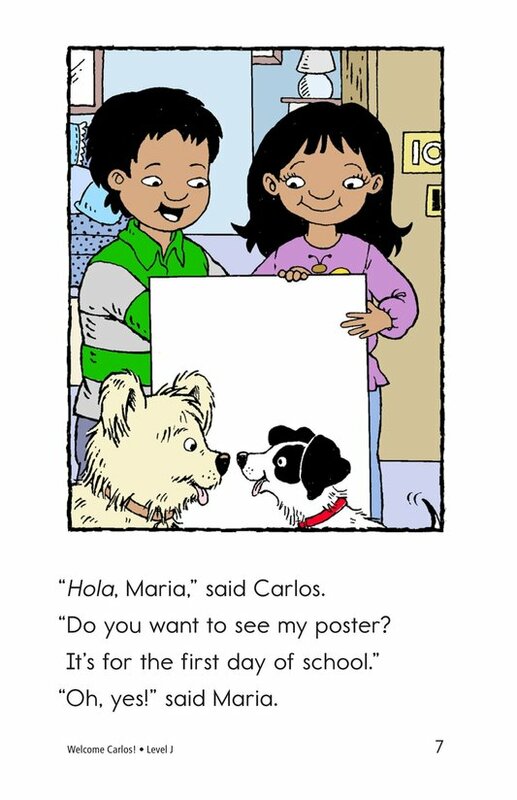 He makes a poster to introduce himself to his new classmates. 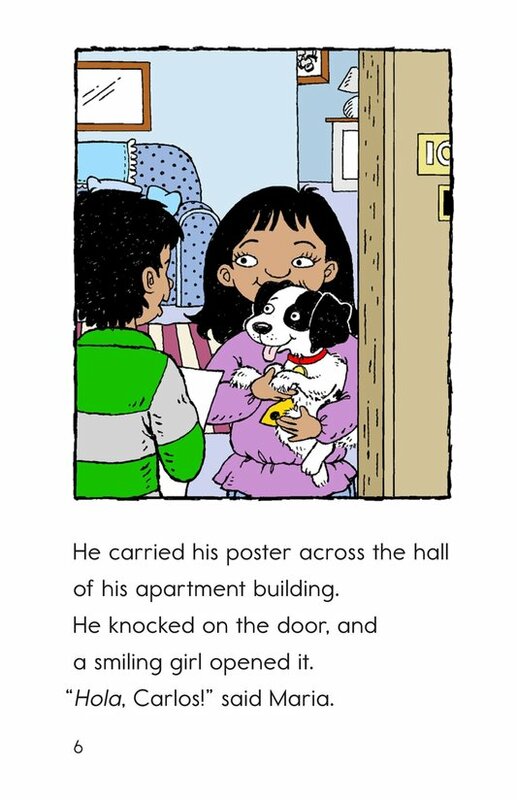 He also makes a new friend in his apartment building. 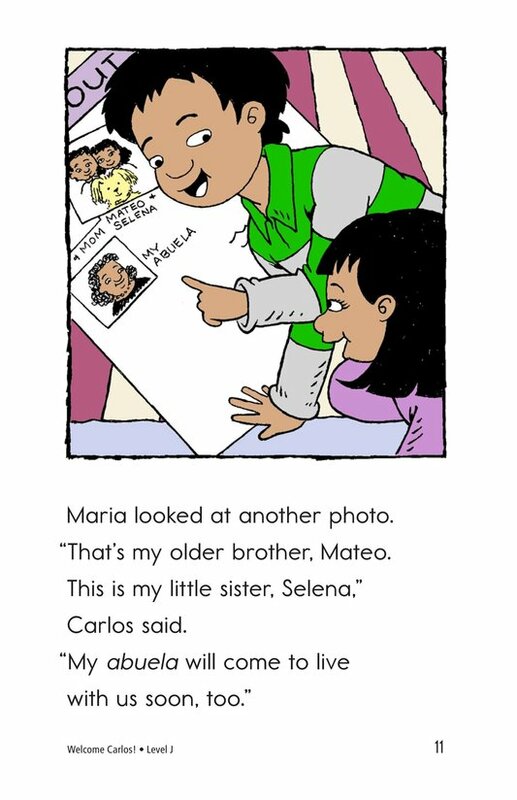 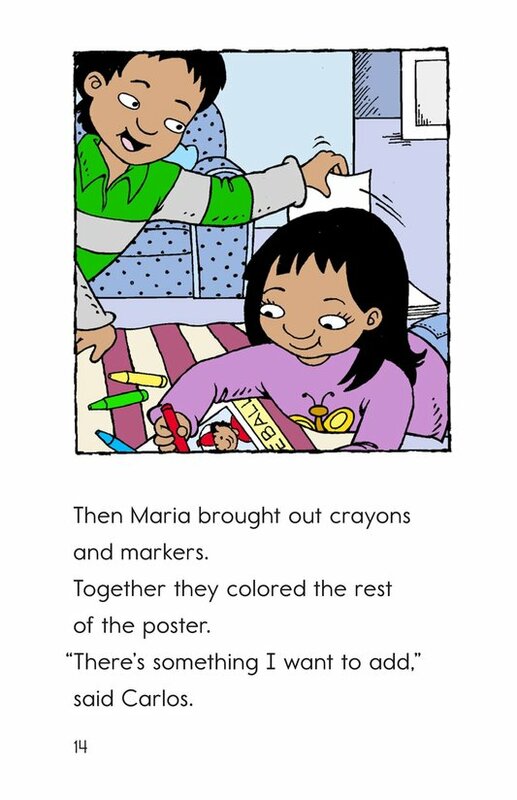 Students have the opportunity to retell the story and sequence events. 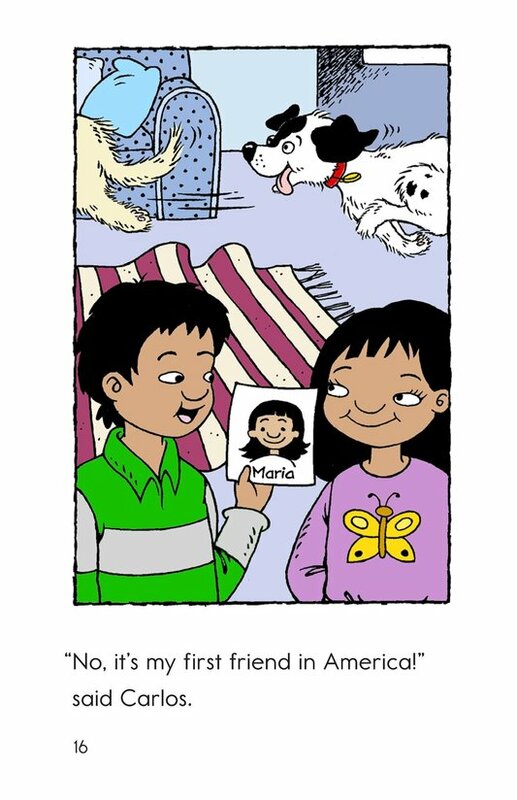 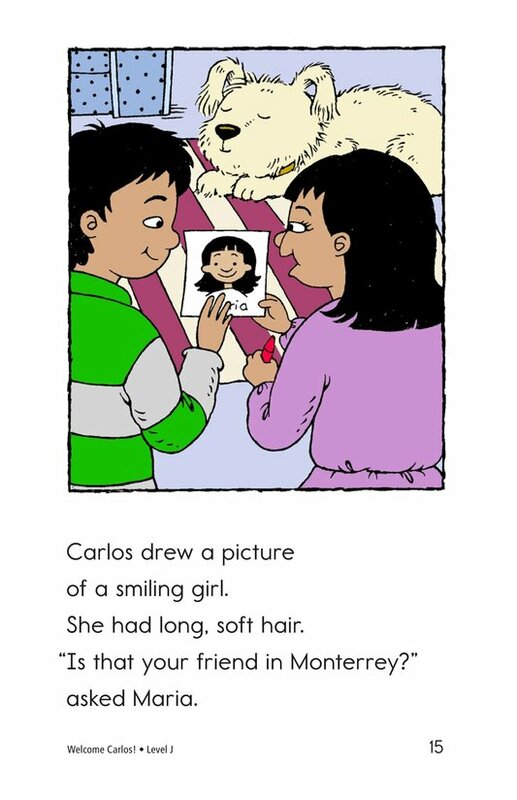 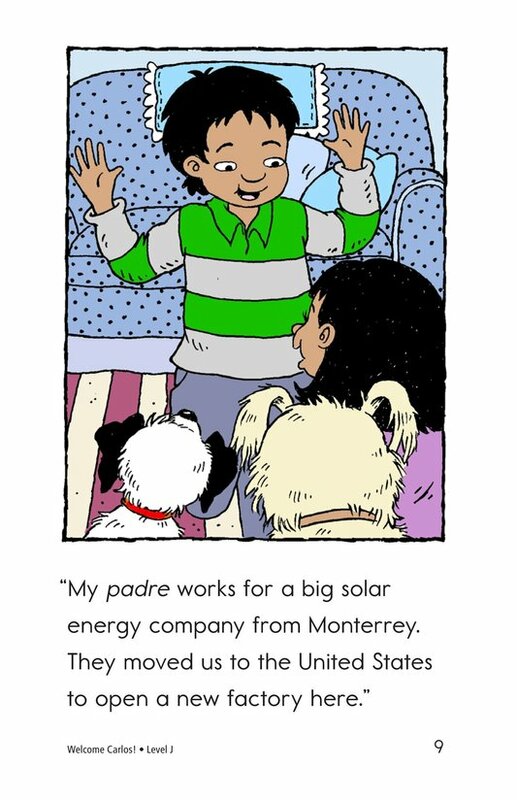 Readers will enjoy this story about making new friends in a new country.